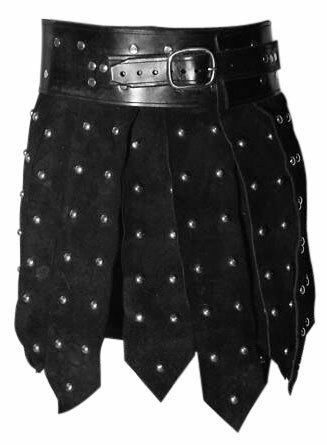 The best example that depicts masculinity is the ultra cool and uniquely woven ancient styled strapped leather kilt for men. All the studded straps in this kilt are woven together followed by an uneven or rugged look, to enhance the masculinity in men. 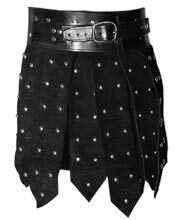 Featuring studs on kilt, buckle strap, suede leather, this kilt is sure to steal the hearts of many women and make many men envious to own one.